As far as crossovers are concerned, it seems that Buick wants to make sure that it doesn’t leave anything uncovered. It is certainly a great move, especially considering the demand for such models in the market. As such, the 2017 Buick Envision is a mid-size SUV that fits perfectly between the three row Buick Enclave and the compact Buick Encore. The size of this vehicle makes it a perfect choice for growing families. This Chinese manufactured model made its debut in the US as a 2016 model, and several updates are already being applied to the upcoming model. • Leather Trim with either AWD or FWD. • Premium II, also with AWD only. 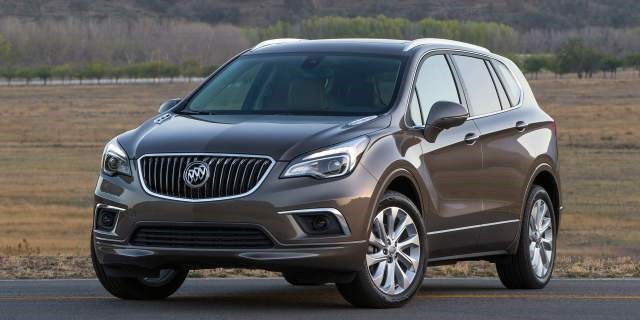 Standard features offered with 2017 Buick Envision Convenience trim include auto headlights, fog lights, LED lights, 18-inch wheel, power liftgate, roof rails, remote start, cruise control, rear parking sensors, keyless entry and ignition. 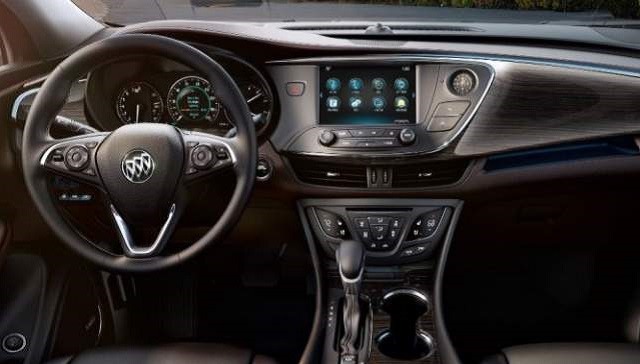 The features offered include dual zone auto climate control, automatically dimming rear view mirror, noise cancellation, a leather-wrapped tilt and telescoping steering wheel, power adjustable front seats, 8-inch touchscreen display with IntelliLink infotainment system from Buick and smartphone connectivity features with Android Auto and Apple CarPlay. Featured added with Leather trim include tri-zone climate control rear cross traffic alerts, driver seat memory functionality, heated steering wheels and rear outboard seats. With Premium Trim, 19-inch wheels are offered along with forward collision alert, lane keeping assistance and a premium Bose audio system. The interior of this 2017 Envision features a modern design with greatly placed controls. The overall material quality is quite good and more than what you would expect at such price range. It is also spacious enough, with a decent cargo capacity of 26.9 cubic feet. With several pockets and large bins for holding personal items, the storage is quite generous. 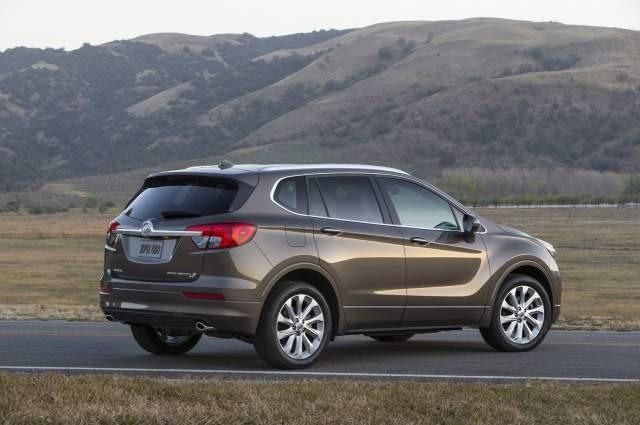 The 2017 Buick Envision offers two choices of engine based on the trim levels. A 2.4-liter 4-cylinder unit is offered with Convenience and Leather trims. This unit generates 197 hp and 192 lb-ft of torque. FWD is standard with these models, although AWD is optionally available as well. The fuel economy numbers are not known yet. The Premium trims, on the other hand, get a 2.0-liter turbocharged engine with an output of 252 hp and 260 lb-ft of torque. This engine offers a combined fuel economy of 22 mpg.